Keri Ann Butler’s life changed on the night she met movie star, Jack Eversea. She thought she knew a Jack that was very different to the man adored by fans the world over. In the wake of his betrayal and abandonment, Keri Ann has had to pick up and move forward with the life she was supposed to live and has put off far too long. Suddenly Jack is back, and his explanations for why he left seem more and more plausible, and his declarations more seductive. But being Jack’s latest tabloid accessory isn’t on Keri Ann’s career agenda, no matter how much she is attracted to him. And how can she can ever trust him again? 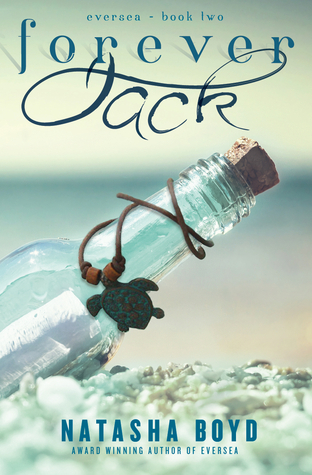 Jack knows he let the only ‘real’ thing that ever happened to him slip through his fingers. And his hands have been tied to try and stop it. Until Now. Jack is now fighting to save his relationship with Keri Ann, even as his crazy life threatens to tear them apart. Again. The question is, can he convince her she can have it all? And have him? Forever? “How can you tell me this isn’t real?” Jack whispered, his words caressing my mouth. Then his tongue flicked gently across my lower lip. A small sound escaped me. I should have stopped him sooner. “This is as real as it gets, Keri Ann. This is Technicolor, when everything else is black and white. This …” His hand trailed down over the exposed skin of my chest then brushed over my dress and the tip of my breast sending shock waves through me. I arched into his hand without meaning to. His hand didn’t stop, but floated down my belly to my thigh, and I tensed, my mouth pressed tight to keep my reactions in, trembling on the edge of a place where my pride would cease to exist. 7 ” Kindle Fire HD (USA,CAN,UK other countries option for allowed kindle). Gorgeous Seaturtle Necklace, blue green patina, leather cord. Featured on cover of book! Natasha Boyd is a writer with a background in marketing and public relations. She holds a Bachelor of Science in Psychology, and lives in the coastal Carolina Lowcountry, complete with Spanish moss, alligators and mosquitoes the size of tiny birds. She has a husband, two sons and a host of scared relatives that worry the next book will be about them. She is a member of Georgia Romance Writers, Romance Writers of America and Island Writers Network, where she has been a featured speaker. Forever, Jack is the sequel to her award-winning and first full-length novel, Eversea.